For the last half decade, Australian rugby league’s representative weekend has been a quaint concession to a part of the game with enormous potential, but about which the sport has been far too selfish to actually explore. Test matches used to be the highlight of the season in Sydney and Brisbane, with touring teams travelling up and down the country until the early nineties (that’s eight and half decades) and putting whatever was on locally into the shade when they came to town. But State Of Origin, the emergence of television and Australia’s sheer international dominance killed that era. We began squeezing Test matches in between club games, or playing Tests in Parkes and Wagga, or not playing them at all. So before we pat ourselves on the back about the 2015 representative weekend, let’s remember that the first Great Britain side to play anywhere in eight years was told to stay home this October because the players didn’t feel like having a run. NRL chief executive David Smith and his new lieutenant, head of strategy Shane Richardson, plan to change all that. Richardson actually wanted to be CEO of the Rugby League International Federation (RLIF), so deep does his commitment to that arena run. 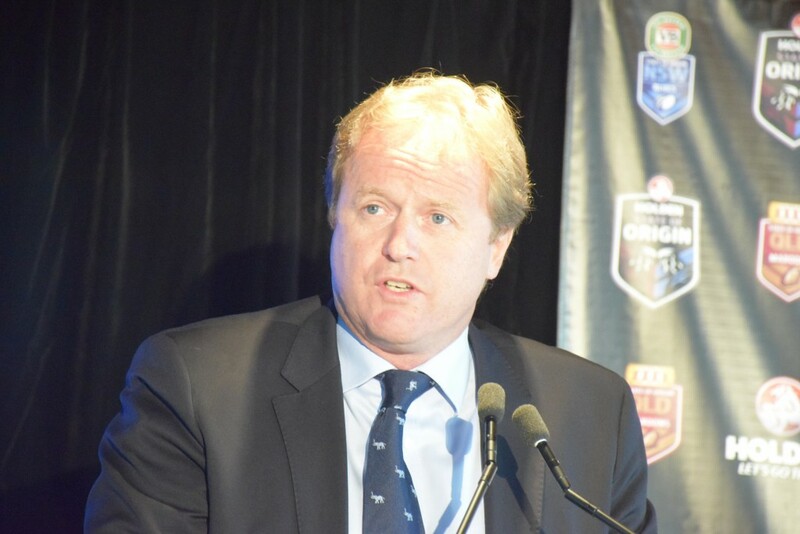 NRL CEO, Dave Smith, has shown a willingness to change the representative calendar. And Smith’s pronouncement this week that State of Origin may be sold to television networks as a separate property is compelling evidence that the representative weekend is no longer a token gesture from League Central. When Origin moves back to weekends (it was tried 15 years ago, which many seem to forget), rep weekends will be placed around it. To an extent, International football is going to ride the coattails of our biggest cash cow. But it has to hold its own when it gets its moment in the sun. The 2015 representative weekend is better than anything we’ve had before. We’ve got two Pacific Tests instead of one, and other countries like Malta, Lebanon and Niue have taken the initiative to organise matches during the break in domestic competition. South Africa are touring for the first time since 1963, and women’s rugby league in Australia has never reached such a high watermark. But again, let’s have a look at some serious shortcomings. Are these really Tests when no Super League players are involved? Would Mose Masoe and Ben Roberts, as an example, not walk into the Samoan side? The impact of the representative weekend is lessened significantly because there is no pause in Super League. This is a strong indication of how embryonic the entire concept still is. Fijian-born centre Waqa Blake will be turning out for the City Origin side next weekend. And what the hell is going on with players representing domestic Australian teams in preference to their nations? Is David Mead not from Papua New Guinea? Are Akuila Uate, Waqa Blake, Kane Evans and Tariq Sims not Fijian? Would Andrew Fifita not be better served playing for Tonga than City? Let’s not even go into James Tedesco, Joseph Paulo and others whose countries aren’t playing on the weekend. In what other sport would the captain of the United States also represent an Australian city in a trial for a state team? And then we have an even more ridiculous situation: players representing even lower tier domestic sides in preference to entire countries. Peter and Chanel Mata’utia playing for Combined NSW Cup instead of Samoa is a slap in the face for international football. Likewise, Kalifa Faifai Loa is Samoan but is representing Queensland Residents. Just so you are clear on this, New South Wales and Queensland require their players to be eligible for Australia – but the RLIF doesn’t care. 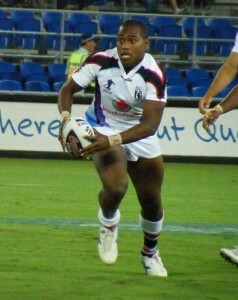 Aquila Uate has played for Fiji and NSW. But this weekend he’s back in the City Origin colours. You only impinge on your eligibility when you represent Australia. The RLIF doesn’t recognise you as Australia-eligible just because you turn out for the Blues or Maroons or City or Country or whoever. So having Tests involving teams outside the big three on the same weekend as domestic rep games is just inviting humiliation for the sport when blokes choose the Greater Longreach XIII over a whole country. It’s likely we’ll have Origins on stand-alone weekends, with each country permitted to play one international one of those weekends. But if we’re going to have Under 20s Origin and Residents interstate games during this period as well, then perhaps we need to limit the Tests to only two of these weekends – so the teams are not directly competing for players. What we will still have, of course, is a kind of brinkmanship at play. If you represent City, Tonga will still have you; but if you represent Tonga, City don’t want you back. And the solution to that is: you can’t swap between top tier countries but you can represent nations four to 40 without affecting your eligibility within the top three. Congratulations to everyone who has made the representative weekend possible – now let’s make it actually work. What do you think? Has Steve got it right? How could the representative calendar be improved?